A Fighter For Justice In Her Community! 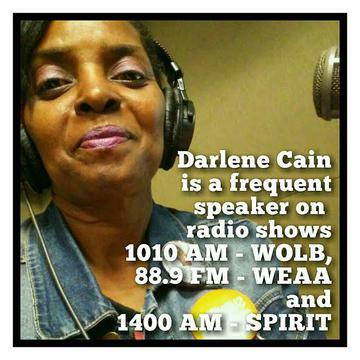 Darlene Cain is a strong community advocate who works tirelessly to reach the community from the airways of Baltimore to the stairways of Annapolis! 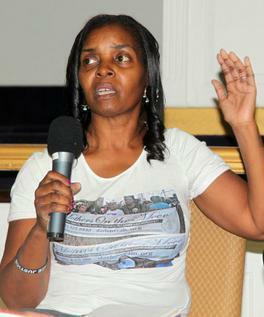 She can always be found reaching out to others to hear whats going on in their community. She's also there letting everyone know that Mothers On The Move is there to support them in their hour of need. She enjoys nothing more than raising awareness, gaining community and legislative support, and interacting with our youth to make a change one person at a time! 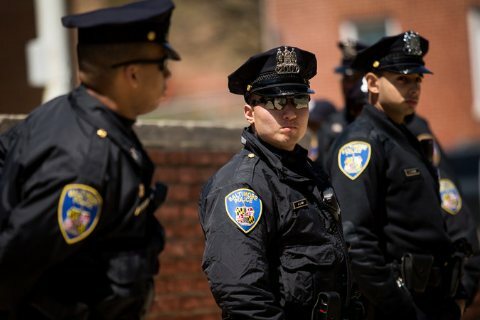 THE NEW YORK TIMES FEATURED DARLENE CAIN IN THIS ARTICLE TITLED - BALTIMORE'S "BROKEN RELATIONSHIP" WITH POLICE. THIS NEW YORK TIMES ARTICLE ON APRIL 24, 2015 IN AN ARTICLE WRITTEN BY SHERYL GAY STOLBERG. 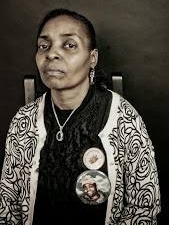 "We've got to get rid of the bad apples"
Who has felt the pain of police killings more acutely, more intimately than the mothers of the victims of police violence? 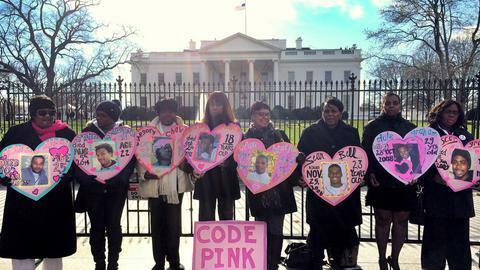 Armed with their pain and a will to change the system, some of these mothers met in Washington earlier this month to find ways to work together. 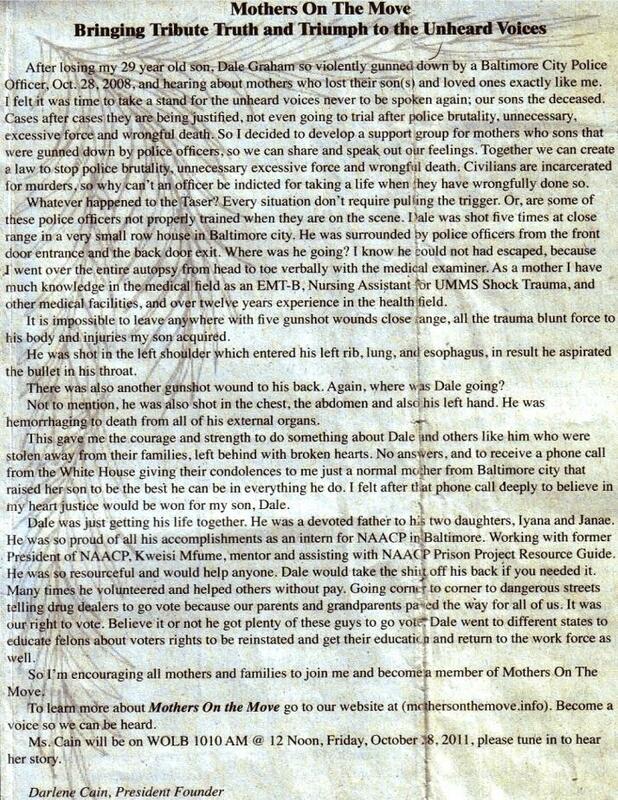 BELOW IS THE "MOTHERS ON THE MOVE" ARTICLE PRINTED IN THE AFRO AMERICAN NEWSPAPER IN THE OCTOBER 29TH - NOVEMBER 4TH, 2011 EDITION.